Festivals, food, and folk tunes—that’s what is on the horizon for Jared & The Mill. Why's that, exactly? The Arizona rockers have just revealed that they'll be taking to the stages of music venues across the country for an extensive US tour this summer! We've got your exclusive hook-up on the details on their upcoming run, which kicks off on June 6 in Dallas, Texas. 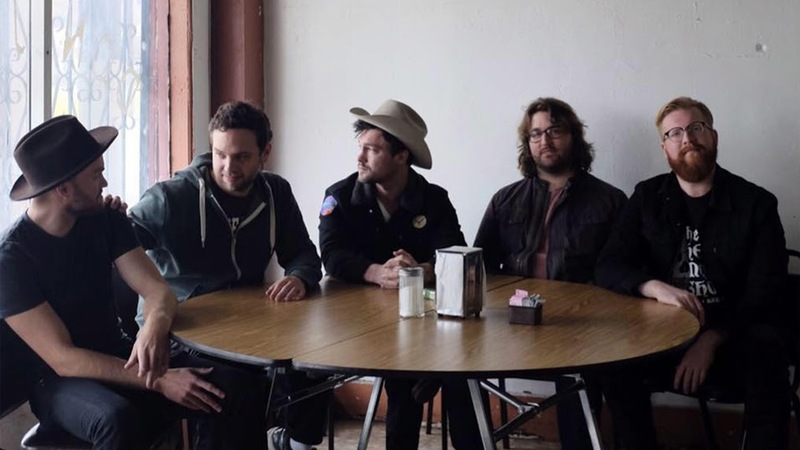 The five-piece will be bringing the show, and tracks off their latest EP, Orme Dugas, to cities everywhere, until the tour wraps on September 23 in their hometown, Phoenix. In addition to cities like Madison, Seattle, and San Francisco, they'll also be performing at Firefly and Winnekta Music Fest—score! Since banding together in 2011, the "Messengers" musicians have become familiar with life on the road. Over the years, they've learned which cities offer the best eats, and in celebration of their upcoming tour, they've decided to share their foodie-wisdom with us. "Apart from driving in our sweet ride 'Tamata’, and playing music for our lovely fans, eating is our favorite activity when we are on the road," the band stated. "As a self-declared group of foodies, we have a pretty diverse range of tastes. Here is a list of some favorite places of ours that we will sure to be stopping in on our travels." Check out some of their favorite dishes, as well as their full list of tour dates below!